Solid roundabout skills. Jar of Mellow Birds just out of shot. 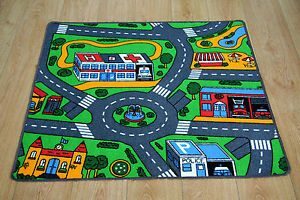 Battle mats, basically a grown up version of the old road/town carpet mat I was told to play on, during my first day of infant school. No idea why I remember that so clearly but there you go. I don’t even like cars. Anyway, they’re patterned to look like some sort of terrain of your choice, lava, steppes, snow, jungle, you get the idea, and roll up nice and neatly. None of that eternal “how do you store a realm of battle” rubbish. They’re usually made out of any one of a myriad of different polymer compounds to provide a flat colourful surface for you to play wargames on. Pretty much all the same eh? Well not quite, I’ve had the pleasure of reviewing the full set of mats from playmats.eu and they’re a cut above the rest. Read on to find out why.